In recognition of her 40 years of service to DePaul Housing Management of Albany, NY, Joan Byrne, SNJM received the “2016 Outstanding Contribution by a Senior” award from the New York State Office for the Aging. Sr. Joan also received a citation from the New York State Assembly, presented by Assemblywoman Patricia Fahy, and a “Proclamation Honoring Sister Joan Byrne” from New York State Senator Neil D. Breslin. 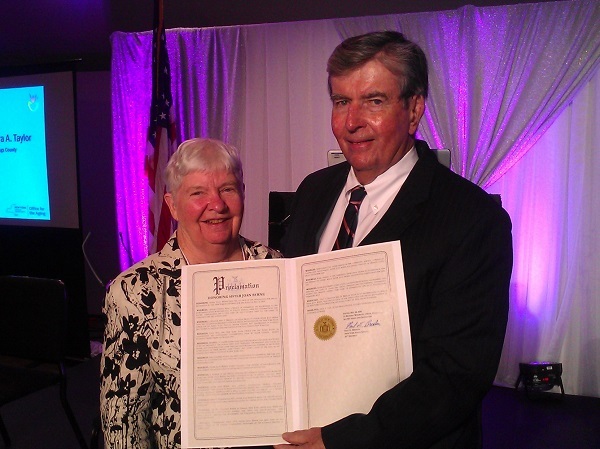 Click here to read the New York State proclamation honoring Sr. Joan. 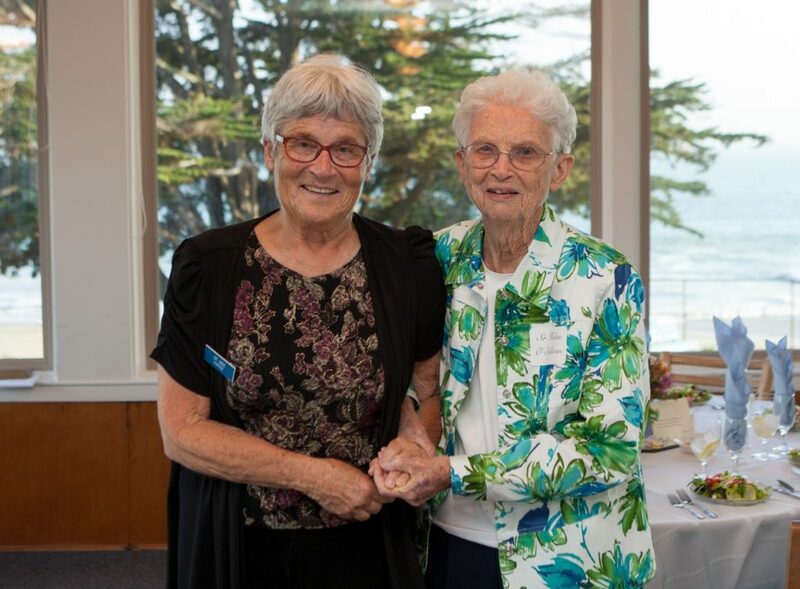 Linda Riggers, SNJM, at right, with Kim Ficele-Bowen, chair of the Holy Names Academy International Language Department and a Spanish teacher, who received the Distinguished Teacher Award. 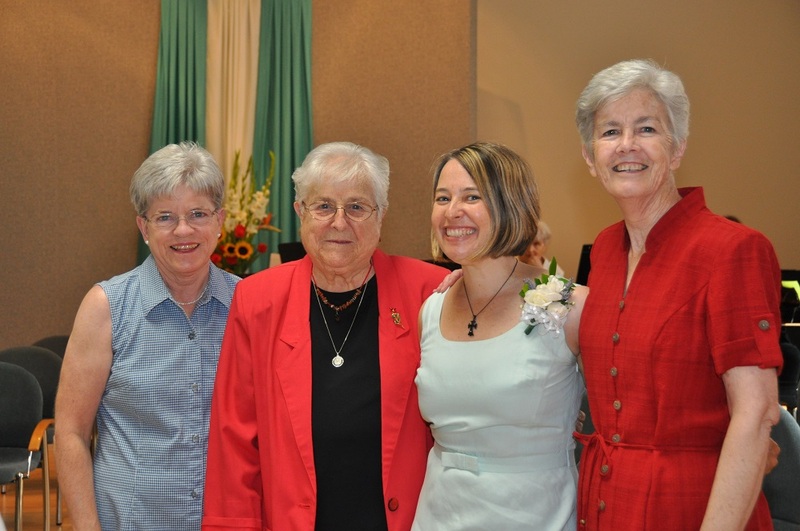 Holy Names Academy, Seattle bestowed its Loeken Award on its registrar, Linda Riggers, SNJM at a recent assembly. The award recognizes a faculty or staff member who has gone the extra mile in service to the Academy. In the Attendance Office, Sr. Linda lives the mission of the school in many ways through her attentive care to the needs of each student. 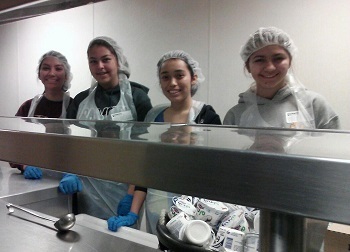 Sixteen Ramona students recently attended Ramona’s first Homelessness Solidarity Retreat, designed by Anna Keim, SNJM. Students listened to a presentation on homelessness by Judy Vaughn, CSJ, director of Alexandria House in Los Angeles. 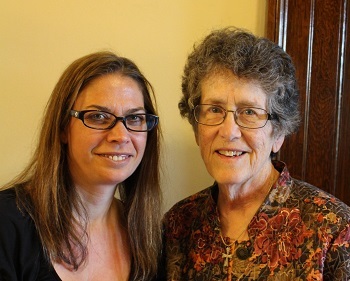 Sr. Judy brought a guest speaker who shared her own experience of homelessness. The students spent the night in cardboard boxes on the tennis courts at Ramona and got up at 5 a.m. to serve breakfast to the homeless at the Midnight Mission on Skid Row in downtown L.A. Photos from the Final Vow ceremony for Anna Keim, SNJM are available to view on our Facebook page at: http://www.facebook.com/media/set/?set=a.10151705257358808.1073741826. 159027698807&type=3. You do not need to have a Facebook account to view them.